Providing a product or service into a heavily regulated industry, such as power or energy, requires extensive testing and development to meet codes and regulations. 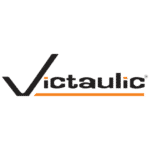 At Victaulic, we strive to far exceed requirements to surpass expectations of our customers and provide a solution that lasts the life of the system. We’re often asked about our product testing methods or compliance with industry standards.